“What would Star Wars have been like if it had taken place during World War II?” If I had a dime for every time I’ve heard that question – well – I would still be broke. But that’s beside the point. The point is, the folks over at Sillof’s Workshop DID ask the question, then created a set of custom action figures to provide the answer. Incredibly detailed one of a kind pieces of artwork, these figures provide a glimpse in to an alternate world populated by bomber pilot Capt. 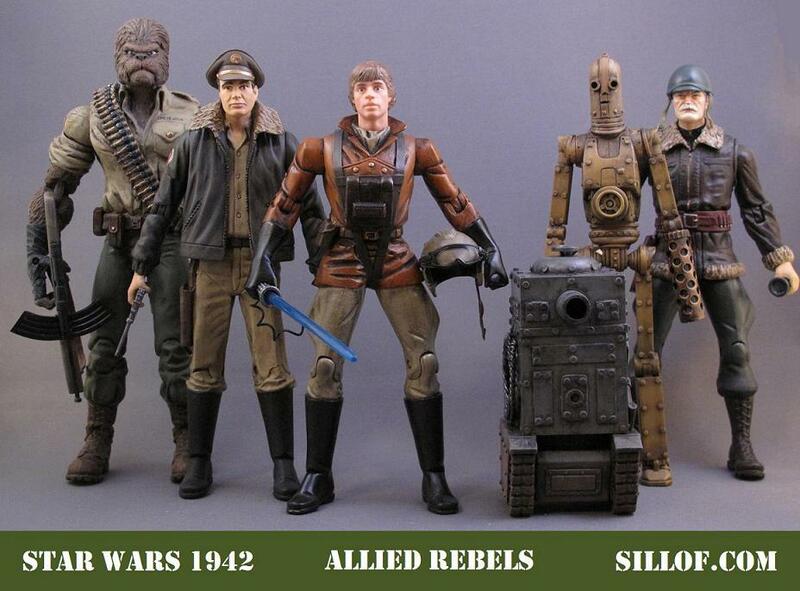 Han Solowski, fighter pilot Corp. Lucas S. Walker, Reichsfurher Vader, and many others. You can feel the authenticity and attention to detail that adds to the WWII mythos that wraps each figure. Alas, these figures are long sold to a lucky collector. But through the miracle of the Internet, we are still able to enjoy them in all their glory. 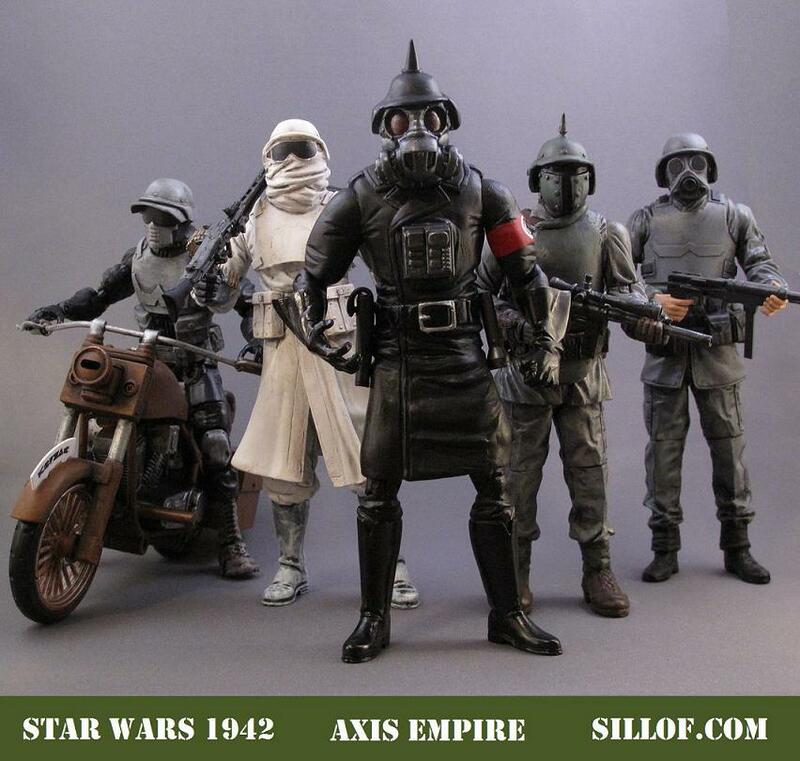 Head over to Sillof’s Workshop to see the entire series, as well as other reimaginings of the Star Wars universe, including Film Noir Star Wars, Medievel Star Wars, and Samurai Wars. You won’t be disappointed.